One thing we can say with 100% certainty: The holiday spirit was not at all lost on our 100 Mile Clubs! Across the country, we saw parades, fun runs, caroling parties, toy drives, coat drives, breakfast runs with Santa himself, and even hot cocoa-themed Winter Solstice running in Alaska! One coach, though, embraced December like none other. 100 Mile Club Coach Wendy Miner in Colorado took her December 100 Mile Club Fun Runs to the next level! Wendy hosted 19 100 Mile Club runs in December and each one had its own unique theme. Together she called her December adventures, Elf on the Run!! 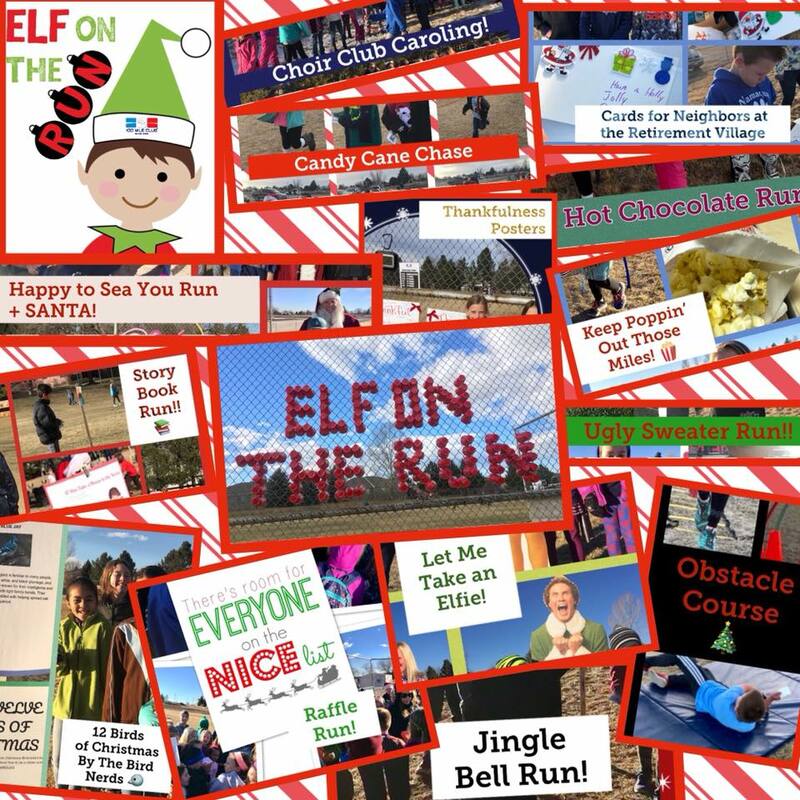 Elf on the Run was a huge success at our school! We ended up having 19 club runs in December and all of them were adorned with awesome shenanigans provided by our generous parent volunteers. Soooo much fun... attracted a broad range of runners each day and definitely made December our most productive winter month of sMiles ever!! See below for a collage of some of Coach Miner's amazing ideas. Way to make the best of those cool winter months!